▶ SoldThis listing was sold on Oct 2, 2017 for the price shown here. Welcome to Laurel Village. Come see what this villa has to offer. Approx 1200 sq feet of finish. Walk out unit with deck overlooking a recently redesigned pond. Home features an open floor plan with large living room, separate dining area and spacious kitchen. Skylight in kitchen offers a lot of natural light. Laundry is conveniently located on main level. Large master bedroom features double closet and sliding glass door to updated deck (Aug 2017). Second bedroom is generously sized. Need more space for family. Walk out lower level is finished with spacious rec room and 1/2 bath (plumbed for shower/bath) Updates and upgrades throughout. 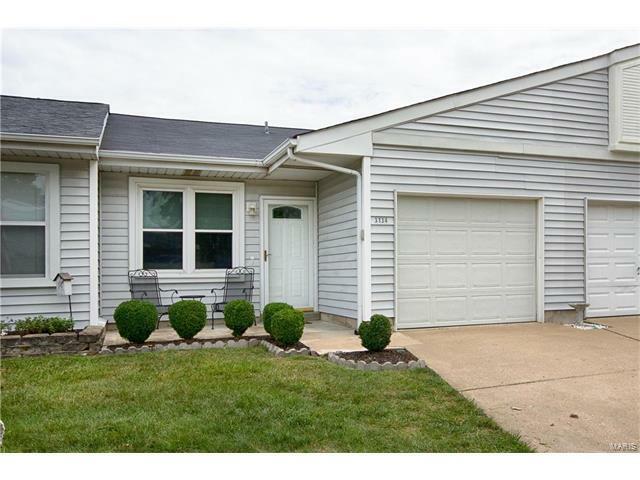 6 panel doors w/lever handles, newer windows and entry door, upgraded HVAC and roof (new Aug 2017) Attached one car garage, includes plenty of room for storage. Low $50 HOA fee covers lawn care and snow removal. Quiet neighborhood, but conveniently located near shopping, restaurants, schools and Hwys 70, 64 & 364. McClay, to Claydell. Claydell changes to Meadow Trail at curve.